In this third article of the series, I am giving an introduction to some of the factors that we commonly use to determine whether a company is apt for our investment strategy, whether it is the right moment to acquire stock, and in general to provide us some insight beneath the numbers. To analyze a company, there are two main methods used nowadays in the industry: the technical analysis, and the fundamental analysis. They vary in its nature, and at the same time, they are used complementarily. So you do not only rely on fundamental analysis, or only on the technical analysis. I find that for the individual starting into investment, learning the fundamental analysis is more chewable and digestible. As soon as you have a deeper notion, jumping into the technical analysis is a natural followup. Also, do not feel overwhelmed by the information contained in this article — it might be more technical than others, but you do not need to master this information from the beginning. Get your little bits of it, go to sleep and try to learn a bit every day. The fundamental analysis was introduced by Benjamin Graham in 1934 (if you do not know Benjamin Graham yet, he is the author of one of the most quoted books about investment, “The intelligent investor”). The fundamental analysis tries to predict the behavior of the price of a certain financial instrument based on the analysis of financial news. The most commonly used sources of information for the fundamental analysis are usually: economic, political or business news, publication of significant data such as employment figures or price indexes, measures of the central banks of the countries or results and balance sheets of the companies. The fundamental analysis studies the value of a company to establish whether the price reflects the value of the company, or whether it is undervalued or overvalued. Payout: the payout ratio is the percentage rate of income the company pays out to investors in the form of distributions. For example, if a company has 100$ in net income, and the payout ratio is 20%, it will pay 20$ in dividends. A low payout means that the company has more margin to increase it when the income decreases, and this will eventually happen to all companies. Price/Earning Ratio: the P/E ratio represents the relationship between the price of a stock unit, and the benefit it generates. It is expressed as the quotient of share price and profit per share. To keep it simple, the P/E ratio indicates whether a company price it is currently cheap or not. There is no standard value for a good PER, and this varies strongly between companies and sectors. For instance, tech companies tend to have a higher PER (of about 20), whether insurance companies average a PER of about 12, and car manufacturing companies can have a PER as low as 8. To use this value effectively, determine what is the average PER for the sector, and try to find companies that have a lower value. Keep also in mind that the PER for the current year is always an estimation based on companies and market forecast, you can only determine the PER of the previous year accurately. EPS (earnings per share): this value determines how much income generates a single share for a company. This value is more significant for a prospective investor than, for instance, the total benefit of the company. Generally, the higher the EPS the better (the more value the company is generating per share). EBITDA (Earnings Before Interest, Taxes, Depreciation and Amortization): or in other words, the benefit before passing it through the pipes of accounting make-up artists, as a more realistic value of the company’s profit. It would be something like the benefit due to the business of the company, without taking into account accounting or tax issues. For example, a change in financial regulations would not change this indicator. EBIT (Earnings Before Interest and Taxes): useful to separate the part of amortizations and depreciations, which in some sectors is very important. Enterprise Value (EV): this indicator takes into account the value of all the assets of the company, but also its debt. It can be understood as what someone would have to pay to buy the company. Using these ratios, for example, we would have indicators such as EV/EBITDA and EV/EBIT, which many analysts agree is much more defining of the real state of the company than the EPS. The price contains all the information necessary to analyze the company. Market evolution and prices tend to follow patterns, and they are repetitive. 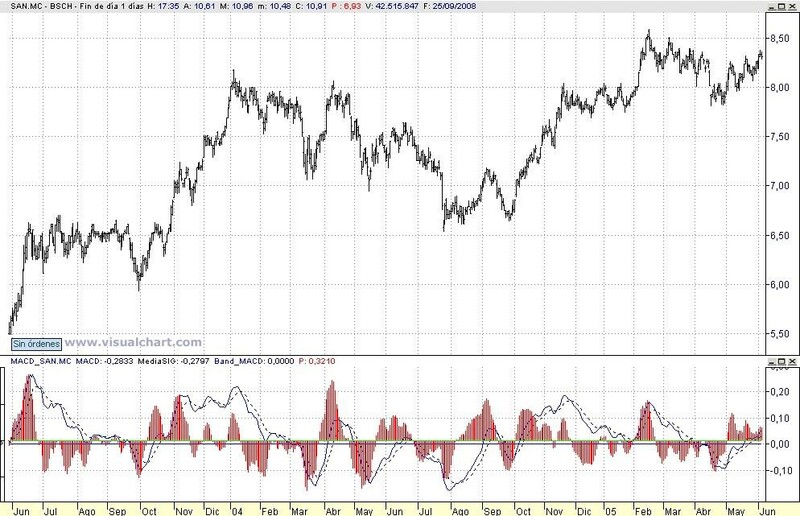 The indicator theory says that when the short-term average cuts up to the long-term, the trend is bullish, and when the short-term average cuts down to the long-term the trend is bearish. 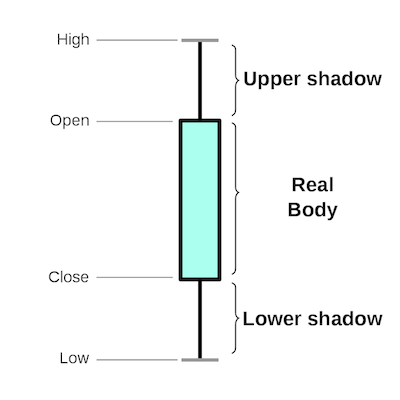 Relative Strength Index (RSI): it shows the strength of the price by comparing individual movements upwards or downwards of successive closing prices. As I have mentioned in previous articles, I consider the Buy&Hold strategy (or forks from this strategy) to be the best one for the retail investor (me, you, your uncle). This can be easily automated, it does provide a secure income over a period of time, and you do not need to spend a significant amount of time handling it. I would like to provide some additional considerations. When it comes to choosing a company, in addition to having increasing dividends, try to acquire the stock when it is undervalued, because that will increase your margin of safety. What matters to us is the growth of dividends, of course, but the cheaper we buy, the higher the initial profitability. 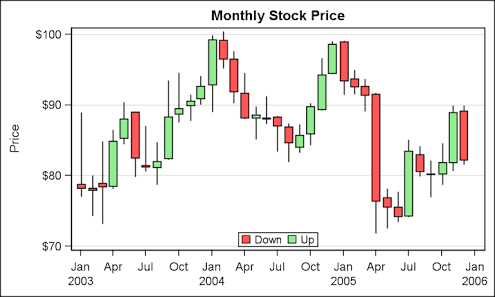 This is particularly complicated in the case of the companies more apt for our strategy, the so-called “blue chips”, that have been increasing dividends every year at a good pace. In that case, buying them at a good price is almost a utopia and you have to think about strategies to incorporate these quality companies into our portfolio (at the time of writing this article, many blue-chips in the US and Europe are having a high dividend yield and low EPS). There are some terms that have been coined as well (“dividend aristocrats”, “dividend kings” and so forth) to refer to the companies that have been increasing or keeping the dividend for a number of years. The debt is one of the biggest dangers in a company. Being more accurate, not the debt itself, but the debt in relation to the benefits. The debt is necessary for the company to work. A certain degree of debt is a catalyst for the business and will help to improve the profits, but excessive debt can end up with the company in bankruptcy. One indicator that is often used is Net Debt/EBITDA, and it is often said that above 3 is very dangerous. This is only an orientation, however. The debt has many constraints, such as the expiration period, the interest thereof and the new interest when it expires. The debt is usually refinanced and aspects such as the fact that the new interest is greater than the current one can turn an acceptable debt situation into a problem. Some businesses have more debt than others (public infrastructure or energy, for instance). Like always, do the homework and do more research on the companies and sectors you are investing in. Fundamental. It is very important to choose companies with a proven track record of good treatment to the shareholder. Of course, you can opt for recent companies that are currently excelling at shareholder treatment, but not having seen them in complicated situations and not having been able to check their attitude towards the shareholder makes it harder to determine the length. The fact that some companies have a long history means that at least we know the policy of shareholder compensation over a period of time. This has been a long time discussion in the investment world. Companies that have increased dividends tend to have a lower dividend yield, because to maintain the increases for many years it is practically indispensable to have a low payout and that implies that the dividend will be low with respect to the benefits. What is better? A high dividend yield with moderate growth or low dividend yield and higher growth? If we knew the future and knew that they would continue with that behavior for a long time, the answer is lower profitability but with a higher growth rate. But the truth is that we do not know, so the best thing is to have a diversified portfolio with companies of both types. As a rule of thumb, no single factor can determine the validity of acquiring stock in a single instant. The EPS might seem optimal, but the dividend yield of the company might be low, or the policy of dividends over the years might not be that friendly towards the shareholder. Over time, you will compose your own watch list of companies you will like to incorporate into your portfolio. You might not buy them as soon as you have some cash, generally, you want to keep them in observation during some time. You will likely read financial news about them, understand better the regulations on the sector, how these companies perform over a significant period of time. Remember you are here for the long term. It is hard to give previous numbers, but the market drops consistently a dividend yield of 5% for many companies of quality. If you are able to adjust prices to make some acquisitions in the lower spectrum of the market valuation, it is relatively easy to increase this dividend yield by a point or two. And this will shorten your path to financial independence.